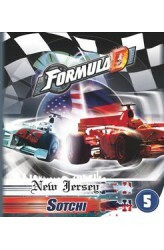 Embark on your own adventures in J.R.R. 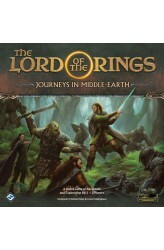 Tolkien's iconic world with The Lord of the Rings: Journeys in Middle-earth, a fully co-operative, app-supported board game for one to five players! 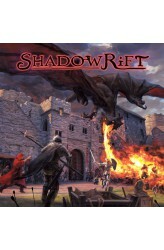 You'll battle villainous foes, make courageous choices, and strike a blow against the evil that threatens the land — all as part of a thrilling campaign that leads you across the storied hills and dales of Middle-earth. Each individual game of Journeys in Middle-earth is a single adventure in a larger campaign. You'll explore the vast and dynamic landscapes of Middle-earth, using your skills to survive the challenges that you encounter on these perilous quests. As you and your fellow heroes explore the wilderness and battle the dark forces arrayed against you, the game's companion a.. 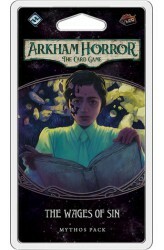 The Wages of Sin is the second Mythos Pack in The Circle Undone cycle for Arkham Horror: The Card Game. "Between the phantasms of nightmare and the realities of the objective world a monstrous and unthinkable relationship was crystallizing, and only stupendous vigilance could avert still more direful developments." –H.P. Lovecraft, “The Dreams in the Witch House” You are not safe in this city any more. Your journey first began with a dark prophecy from a soothsayer, and it has led you to the dangerous shining halls of Josef Meiger's estate and the dilapidated Witch House of French Hill in search of buried histories best left forgotten. 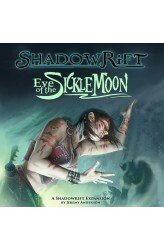 Tangled up with all of it is a long-dead sorceress from Arkham's past, so perhaps the best place to star.. The Secret Name is the first Mythos Pack in The Circle Undone cycle. 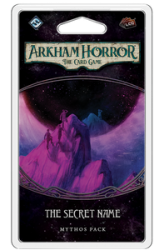 Following the events of The Circle Undone, you are desperate to find more information about the dangerous new coven of that has taken up residence in Arkham. 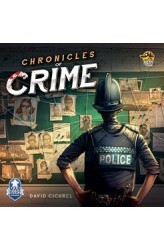 Such knowledge is difficult to come by, even in a place like Arkham, but you do know of one witch whose story has been passed down for nearly two hundred years: Keziah, who escaped from the Salem Gaol back in the late 1600’s and whose ghost still supposedly haunts the condemned Witch House in French Hill. With many questions and few leads, you have no choice but to chase the ghosts of Arkham’s past. As a new cycle begins, you will need new tools to help you battle these unholy forces. 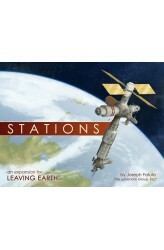 To help you with this task, some of the new player..
Leaving Earth: Stations is an expansion for Leaving Earth that focuses on manned exploration and habitation of the inner Solar System. Replaces many planets and moons, adding local features to explore. Adds space station modules such as habitats and hydroponics. Includes many new missions, including ones for long-term habitation. Adds the Space Shuttle as a reusable launch vehicle. 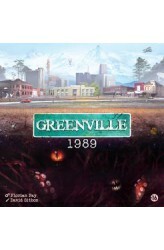 ..
Greenville 1989 is a co-operative narrative game in which each player represents a character who has experienced or witnessed supernatural events. They must describe these events to their fellow players, who must then locate this character and save them. This lead role changes each round, giving everyone the chance to be lost or found — and you want to be found or else the group is pulled closer to the void engulfing the town that threatens to consume you all. 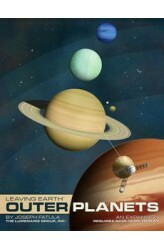 https://youtu.be/-BnN9zjfcQQ ..
An expansion for Leaving Earth, adding the giant outer planets of the Solar System (Jupiter, Saturn, Uranus, and Neptune). New missions lead you to survey the outer planets and their moons. Depending what you find there, more missions may become available, leading to further journeys to the outer planets. https://youtu.be/bDt2hT8ruzE .. 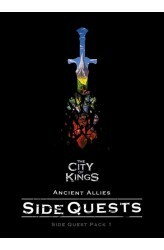 The Ancient Allies side quest pack adds 50 new side quests to The City of Kings telling more stories and introducing you to more of the world. It also features 2 new types of quests: Get To: An individual quest where you'll need to make your way to a character somewhere in the world. Build: A mini game style quest where you'll need to immediately help someone with a task. 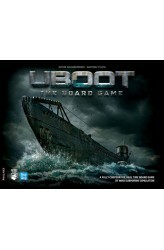 This features press your luck style dice rolling. https://youtu.be/Zqu3E2WIyWg ..